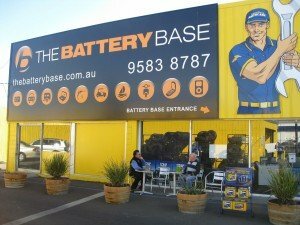 Welcome to The Battery Base, your one stop shop for all types of batteries. With over 20 year’s experience of selling batteries for countless applications, we are sure we will have the right battery for you. So whether it’s laptop batteries, mobile phone batteries or a marine battery look no further. Just about everything needs a battery. We have access to more than 10,000 products to help with all your portable power solutions and a wide range of deep cycle and AGM batteries. If you can’t find it on-line call us in our store and we will do all we can to source one for you.If it’s a Boat battery you are after, we specialise in Century Batteries and the Marine Pro boat battery series. The Marine Pro boat battery is not just a re-badged automotive battery it’s made tougher to withstand wave pounding and engine vibrations. We stock a huge range of quality Mobile phone batteries which all come with a full 12 month manufactures warranty. Unlike other cheaper mobile phone batteries our mobile phone batteries will go the distance. We have original mobile phone batteries available as well as our Platinum series of mobile phone batteries. Need a caravan battery? Many people who use a caravan battery actually install the incorrect battery for their application. When using a Caravan battery it needs to be sized correctly for ones individual needs as well as the right style of battery that’s non hazardous depending on the batteries position within the caravan. To get the right advice, contact us and an experienced battery seller will make sure that you find what you need. Our preferred brand of Motorbike batteries are Katana batteries, available in-store or Motobatt Motorbike batteries, available in-store or online. Katana is made by the Yuasa Corporation, and both batteries are made to very high standards. Not all Motorbike batteries are the same! If it’s quality and reliability you are after Katana or Motobatt should be your motorbike batteries of choice. Rest assured that when you purchase through us you are dealing with a battery shop that is open 6 days a week to the public with 20 years of trading history and experience behind us. We’ve tried and tested the alternatives and the brands and items we stock have passed our quality and our customer’s quality tests. If it works for you, then it works for us.